A New Orleans-based rapper, Ruby da Cherry is best known as one-half of the rap duo, $uicideboy$. Together, they’ve released a number of records over the past few years including 2nd Hand, Paris, Antarctica, and Magazine. Most recently, the pair dropped the single, Fuckallofyou2k18 in February 2018. As far as mixtapes go, they’ve released quite a few since their debut- some highlights include Eternal Grey, Kill Yourself Sagas, Now the Moon’s Rising, and Dark Side of the Clouds. On Soundcloud alone, the duo currently has over 690,000 fans tuning in to their jams. Having said all that, how is the twenty-something doing for himself now? How much has the artist pulled in over the past several years? How well off is he? From what we could find online, Ruby Da Cherry’s current net worth is around $500,000. Which one of the duo’s releases contributed the most to that figure? Aside from record sales, what else do they have going for them? Let’s take a look below. How did Ruby Da Cherry Make His Money & Wealth? Born on April 22, 1989, in New Orleans, Louisiana, Ruby Da Cherry has been into music ever since he was three years old. Growing up, he was raised in the 7th Ward, where he found himself getting involved with the local rap scene as a teen. Later in 2013, he formed a rap duo called $uicideboy$ with his cousin, Suicide Christ. In 2014, the pair dropped their debut EP, Kill Yourself Part I: The Suicide Saga. Featuring production from Budd Dwyer, it consisted of five tracks: Maple Syrup, Kill Yourself (Leaned Out Remix), MapleSyrup (DJ Poliwhirl Remix), Mask & da Clock, and Kill Yourself. The record that launched their career, it generally garnered positive reviews from fans. Since then, the Kill Yourself series has continued with numerous sequels including The Black Suede Saga, The Budd Dywer Saga, The Tsunami Saga, and The Soulseek Saga, to name a few. It wasn’t until 2015 that they released an entirely different EP dubbed, Gray/Grey. On a roll, the pair continued to drop a number of mixtapes over the next few years including Grey Sheep EP, My Liver Will Handle What My Heart Can’t, Now the Moon’s Rising, and Dark Side of the Clouds. Most recently, $uicideBoy$ issued a single titled, Fuckallofyou2k18 in February 2018. Well received, the track has since racked up 3.25 million plays on Soundcloud alone. Considering the fan base that they have, the rapper has most likely yielded a decent amount of money from the duo’s work. Having said that, that’s obviously not the entire picture; in addition to record sales, his income is likely supplemented by what he makes from putting on concerts. Speaking of which, the rap duo actually has a few shows planned for later this summer in Finland and the UK. For more information on the dates and venues, click here. As their popularity continues to heighten, chances are, they’ll gain more opportunities to make themselves known to the world. Is Ruby da Cherry Married? No, as far as we know, Ruby da Cherry is not married. Does Ruby da Cherry Have Any Children? No, as far as we can tell, Ruby da Cherry does not have any children. Did Ruby da Cherry Go to College? No, Ruby da Cherry has not attended college. What is Ruby da Cherry Famous For? Ruby da Cherry is best known as one-half of the rap duo, $uicideboy$. Over the years, they’ve released numerous mixtapes and singles, most of which have been big hits. Unfortunately, we do not have any information on Ruby da Cherry’s location at this time. What Kind of Vehicle Does Ruby da Cherry Drive? Information on Ruby da Cherry’s vehicle is not available at this time. How Much Money Did Ruby da Cherry Make Last Year? Unfortunately, details on Ruby da Cherry’s 2017 earnings are not available. As mentioned earlier, Ruby da Cherry and his cousin most recently dropped the single, Fuckallofyou2k18 in February 2018. Later this year, they will also be traveling for a few concert shows in Finland and the UK. Are you a fan of their music? If so, why not follow Ruby da Cherry online? 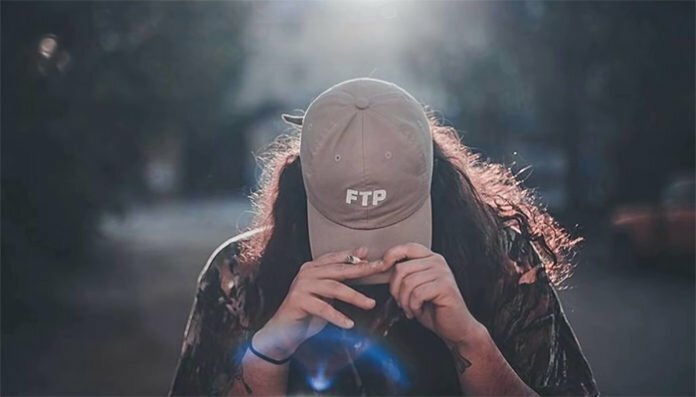 You can find the rapper on a few social media platforms such as Instagram and Twitter at @SuicideLeopard. Alternatively, you can visit his official Facebook fan page by clicking here.